Zynel Adjusting should be your first choice for handling your 1st party property losses, 3rd party property damage claims, property appraisals and litigation damages evaluation. Try us and you will we see why we are the trusted adjuster for the industry. When you are looking for the best and most experienced in property adjusting in the Mid-Atlantic region, call Zynel Adjusting. 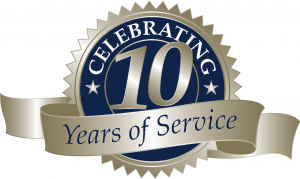 Owned and solely operated, Zynel Adjusting has been in business for over 10 years. President and General Adjuster, Joe Zynel, has over 30 years experience in property claim adjustment and the handling of 3rd party property damage claims. When you can’t get a claim settled, we specialize in the appraisal of property claims as outlined in the policy, acting as the appraiser on behalf of your company. We also handle damages analysis and evaluation for defense counsel in litigation matters. Why take a chance having someone with less experience and knowledge handle your claim when you can hire Zynel Adjusting? We get the results you are expecting. © 2019 Zynel Adjusting Inc. . Powered by WordPress. Theme by Viva Themes.